Scooters: The Vehicle of the Future! Gas prices are on the rise! Currently, California Gas prices alone are averaging $3.35 throughout the state! Annalists predict that gas prices this summer will go over $4.00 a gallon and may peak out in the $4.50 range before coming back down to a $4.00 level again. Most annalists predict that 2011 will be the last year that Americans will see $3 dollar gas ever again. Looking forward, a decade or two... The world will still have a lot of oil, but getting to it will be very costly, and predictions of $10.00 per gallon gas by the end of the decade are now considered conservative estimates. In addition, population density, air quality standards, and congestion in urban centers will see many more people turning to scooters as an efficient and simple way to get around town where scooters are an ideal mode of transportation in a society where everything is a lot closer then it used to be. Overall, there are a thousand reasons why scooter sales will outperform vehicle sales in congested urban and suburban centers everywhere. The rest of the world has adopted and embraced the scooter and motorized bicycle for decades... if you've ever been to Beijing, Bangladesh, Taiwan or Manila you understand first hand. Finally America is coming around, and in the next few years the scooter market on the east and west coasts is anticipated to explode as we saw Summer of 2008! Prepare and get ahead of the line and get exactly what you want before it's gone. in 2008 there was a massive shortage of product and prices soared! Don't let this happen to you! As unfortunate as high gas prices may be for the rest of the society, every cloud does have a silver lining... and if you're a scooter owner, the silver you'll see will jingle and grow in your pocket every mile you drive! Based on the national average, riders put approx 2000 miles a year on thier motorized gas powered two wheel cycles. WIth the average gas milage around 70 miles per gallon (some 115mpg and others as low as 40mpg. The safe medium for estimate is 75mpg. With that said, based on this report. You can expect to spend an average of $110 a year in fuel costs based on the national average of fuel: $4.09 as of 4/2012. This means your monthly average is $9.08. In other words, when you purchase a Gas powered cycle from Countyimports.com, combined with the FREE GAS offers we provide, you can essentially drive for 5.5 months without spending a dime on fuel. 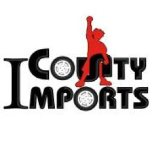 This, we believe is a great encentive to join the CountyImports.com family right now! Call 877-868-5828 and place your order today!